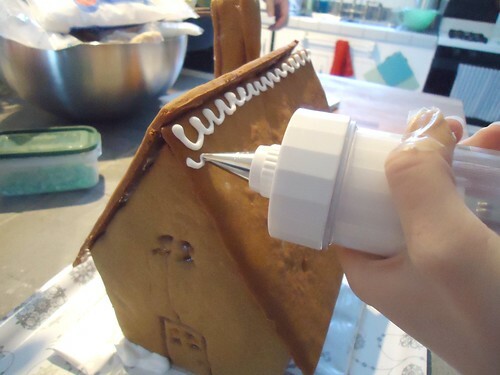 The Gingerbread House assembly and decorating day. 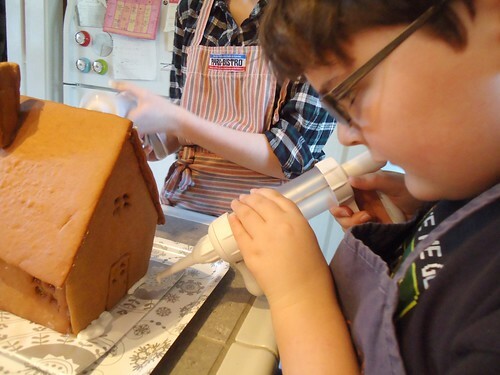 This gingerbread house was a learning process, for sure. Lots of discussion, much planning, and yes, negotiation, went into this project. 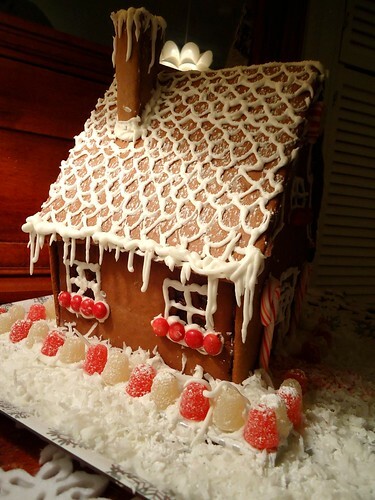 Olivia and Adam made a sweet Hansel and Gretel-style house, trimmed in red and white. 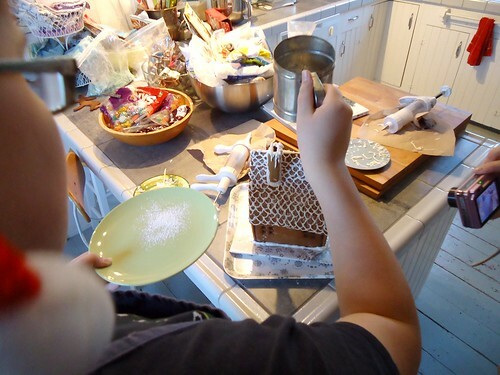 Perhaps the kids have started a new tradition this year, with the making of this gingerbread house from scratch. 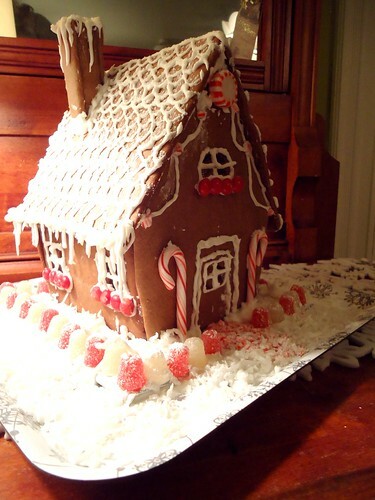 It's a very merry addition to our home and it would be a lovely tradition to add to your Yuletide as well. It's been awhile since I've visited your blog (I've been out of the blogosphere for a while.) But, I was remembering how lovely your holiday posts were last winter. 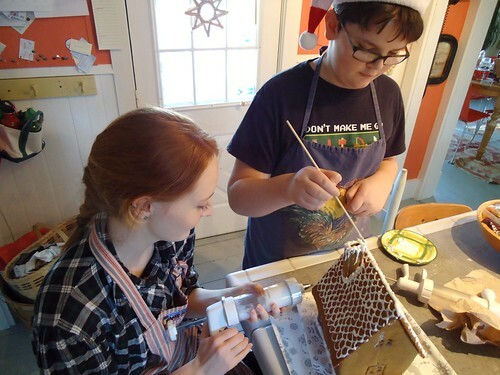 I especially loved seeing how your family celebrated Yule and Solstice. Last year you had a really cool music list on your blog that included some great holiday songs, are you planning on posting that again? Hi Mari, nice to see you! Thank you so much. 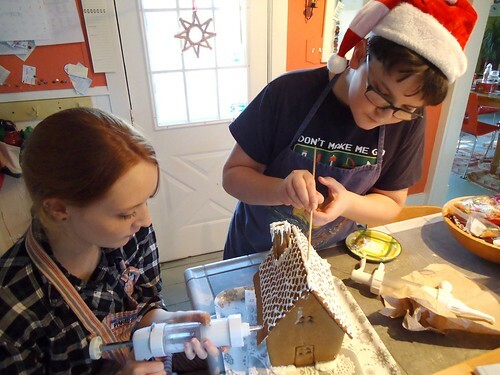 You know, I may write up another music post, as I've added some favorites (and you can find me on Spotify if you are there--I have a Yuletide Carols playlist), but here here's the post from last year, in the meantime. http://www.onbradstreet.com/2010/12/yule-second-day.html Many thanks! These are wonderful! I love the lattice topping. They did such a great job. Happy Holidays!